Via iTunes. When using this download method, books are downloaded to a mobile device from a personal computer using the free iTunes program. Via Safari browser. When using this method, you download books to your iPhone or iPad via the Safari browser installed on your mobile gadget. So, I think you figured out how to add a book to iBooks, now let's go through these methods in more detail. Note: the instructions below imply that iBooks is already installed. First you need to download iTunes via this link - http://apple.com/itunes/download/. Install it on your computer, it is done very simply. Download to your computer the necessary book in ePub format, here You can view a selection of related resources. Connect your mobile gadget to a personal computer and launch iTunes. Press CTRL + S to make the side menu visible. Next, in the menu that opens, select the book item. You will have a working area with books loaded into the library. You need to transfer the previously downloaded book to this area. Now it remains only to synchronize the iTunes library with your device, this is done like this: in the side menu, click on the name of your gadget, in the opened window, find the synchronize button and click on it. 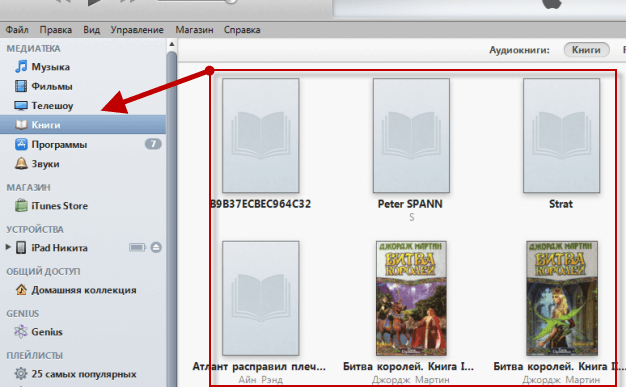 After synchronization, the book will appear on your device, you can find it in iBooks. 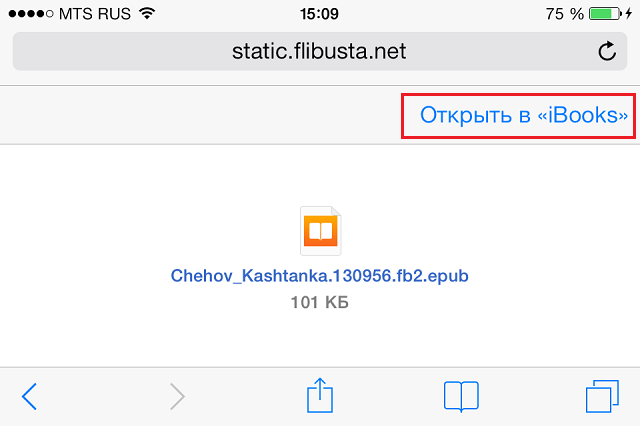 Launch Safari on your iPhone or iPad mobile device. Go to one of these sites - sites - select the desired book and download it. After the download, a window will appear on your iPhone or iPad screen, in this window you need to select the “Open in iBooks” option. If another book reader program is installed on your mobile device, you will be prompted to open books in it. After some time, the book will open on your gadget in iBooks..
Today, this is all, I hope this post was useful for you. Do not forget to share your opinion in the comments to this post.